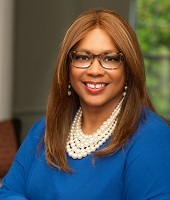 As President and CEO of Women Impacting Public Policy (WIPP), Candace Waterman leads the nation’s largest public policy organization for women and minority entrepreneurs. Waterman is a nationally recognized and respected business thought leader whose 30-year industry expertise spans multiple disciplines, including but not limited to domestic and international business certification; diversity and inclusion; procurement; mindfulness leadership; and multigenerational talent management. Prior to leading WIPP, Waterman served as the Vice President and Chief of Staff for the Women’s Business Enterprise National Council (WBENC), the nation’s leading third-party certifier of Women’s Business Enterprises (WBEs) for commercial interests and Woman Owned Small Businesses (WOSBs) for government contracting. During her tenure, her team implemented the digitization of WBENC’s certification program, affecting more than 14,000 women-owned businesses and more than 1000 corporate and government agency partners. She also worked to achieve acceptance of WBENC’s certification by U.S. government entities, and assisted in driving initiatives and policies affecting international certification. Waterman has owned three successful companies in the medical, real estate, and hospitality industries and worked as an executive for the ambulatory services division of a hospital system in Michigan overseeing OB-GYN, hematology, radiology, and oncology operations and programs. Her commitment to diversity, inclusion, and operational excellence has earned her numerous awards and recognition as well as a seat on the American Contract Compliance Association (ACCA) Board of Directors and the Essence Entrepreneurial Advisory Council for Essence magazine. Waterman holds an M.B.A., an M.C.A., and is a Tuck School of Business at Dartmouth Fellow. She resides in the Washington, D.C. area.